They're here! 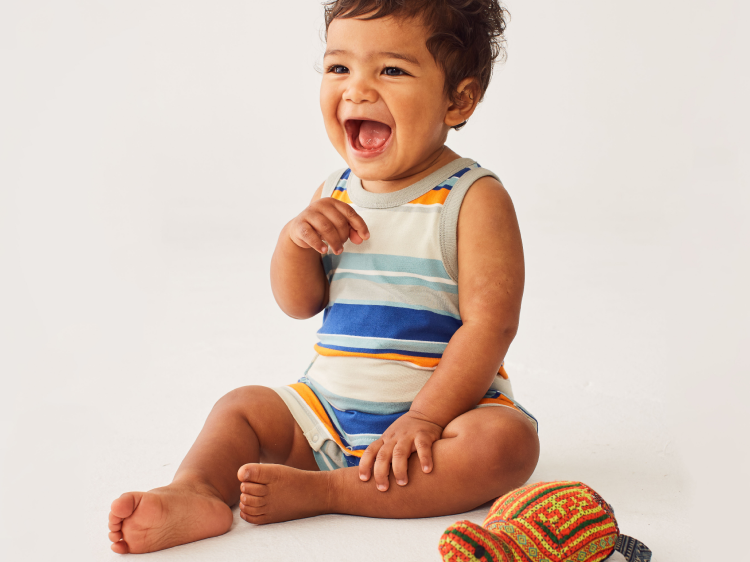 The cutest baby boy clothes have just arrived. Our trendy baby clothes for boys are full of style. Our tees and rompers are bright, colorful and unique. From plaids and stripes to foxes, birds, sea creatures, trucks and trains, our prints are one-of-a-kind. Don't forget a pair of our popular and durable baby boy pants. He'll be dressed to crawl, walk and run around the yard.